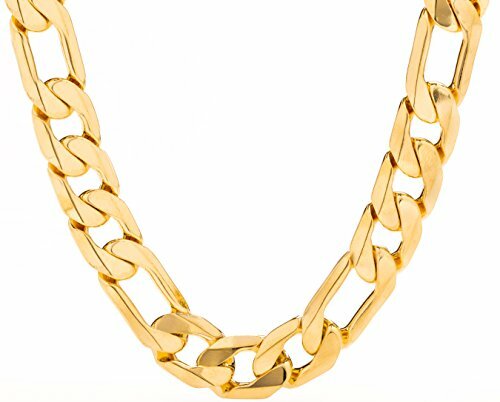 TIRED OF BUYING CHEAP LOOKING PLATED CHAINS? Look no more. This beautiful 24K Gold Overlay 11MM Figaro Necklace is gorgeous! It looks and feels like solid gold and is sold at a fraction of the cost. Comes in a box or pouch for easy gift giving.